7:00 pm AS&R Meeting – You’re Invited! AS&R Meeting – You’re Invited! 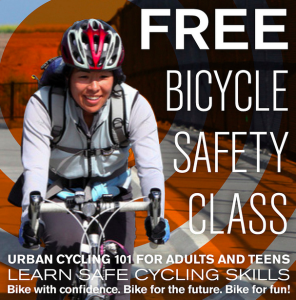 Become an AS&R member and get discounts at local bike shops and businesses! Berkeley Bikes and Skateboards: 15% off labor, parts and accessories. 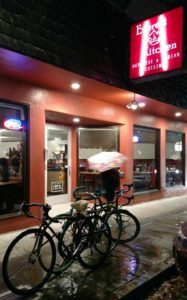 Blue Heron Bikes: 10% off parts and accessories. Marie Bowser Acupuncture: 30% off your first visit. 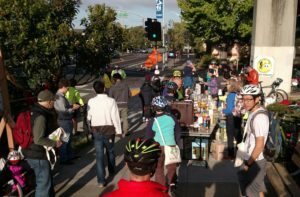 Bikes on Solano: 10% off labor, parts and accessories. 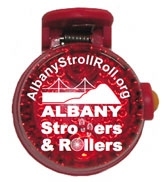 Offers are valid to members of Albany Strollers & Rollers and their households. Tell your friends! AS&R has partnered with Fun Source LLC to make these versatile rear bike lights available to school kids and to you! For each Safety Light that you buy, an Albany student gets one free! For just $8 each, or $15 for two (that’s 50% off MSRP,) you get a bright red rear light with three blinking modes, a clip and a quick-off bike mount. Between 2009 and 2012 we installed more than 500 of these lights on kids’ bikes, helping our community members ride more safely! Our AS&R version supports a good, grass-roots advocacy cause promoting bike-ped safety for children in our local community. We appreciate your support of this great SR2S program by purchasing our lights through AS&R. To purchase or for more information, come to any of our events or contact Amy Smolens at calamari@alumni.duke.edu. On 2009, 2010 and 2011 International Bike & Walk to School Days. AS&R members and school parents installed more than 150 free lights (each year, that is!) 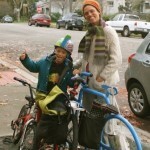 on the bikes of kids who rode to school – a huge success! 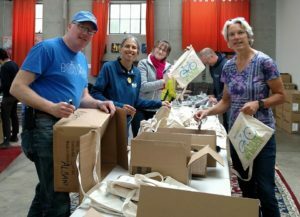 Bike to Work Day Coordinator Needed – FOUND!! Thanks, Volunteers, Supporting Businesses & Organizations, for a Successful Solano Stroll!